Break out the marmalade — Paddington 2 lands here on both Blu-ray and 4K-UHD. “If you’re the sort of AV-Holic that likes to marvel at individual strands of fur, then this is the 4K disc for you,” Home Cinema Choice said. 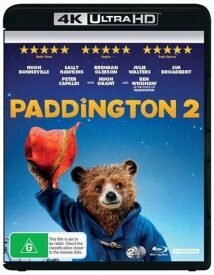 Animation has often been a picture quality flagbearer, and this is a task Paddington 2 (through its CG-created central character) adopts with relish. Whenever the titular bear is onscreen, this 2.40:1 image invites you to drink in the crisp, fluid, bristly detail. He blends in perfectly with the live-action footage, which is quite an achievement. While the disc delivers strong, stable black levels, it’s the rich colour palette that makes more of an impression. Reds, in particular, be they Paddington’s hat or a painted door, gain an extra lustre here, and the movie’s overall riot of tones is captured perfectly. Also out on 4K-UHD in time for the reboot’s theatrical run are Tomb Raider and Tomb Raider: The Cradle of Life. “Paramount has created an all-new 4K scan of the film for this UHD release, and it is a major improvement over previous home video releases,” Home Theater Forum said of the original. 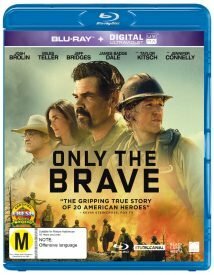 “Only the Brave fights its way through the smoky haze and on to home video with a 1080p MPEG-4 AVC encode that, if you followed this director’s work, unsurprisingly looks amazingly good,” High-Def Digest said. Joseph Kosinski has made a name for himself by making slick Hollywood films that have a unique visual style. Framed at a 2.39:1 aspect ratio, this was actually shot digitally with a Sony CineAlta F65 camera at a 4K Digital Intermediate, it breaks this techie’s heart not to be reviewing a 4K Ultra HD disc today. But this film did flop, and that’s the way the cookie crumbles in Hollywood. Nonetheless, this HD transfer is as sharp as any Blu-ray in your collection and is flawless in that regard. Detail work is impeccable and every frame bursts off the screen with depth and texture. Also new are Fear the Walking Dead: The Complete Third Season, Day of the Dead: Bloodline and Rise of the Footsoldier 3. Missing out on a Blu-ray release is The Handmaid’s Tale but being dusted off for re-issues or debuts are What Dreams May Come, First Knight, Roxanne, So I Married an Axe Murderer and Bewitched.